Ted Cruz Tells Rally Crowd That Beto Wants To Turn Texas Into California With "Tofu, Silicon, And Dyed Hair" - Joe.My.God. 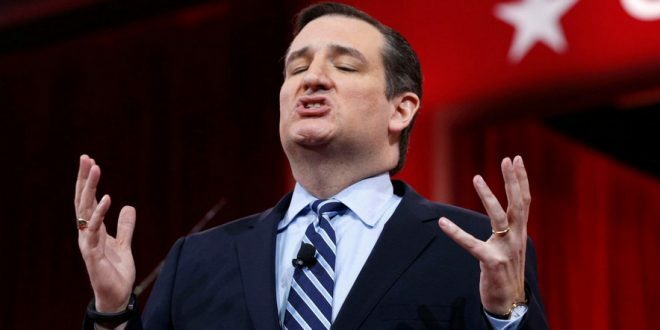 Sen. Ted Cruz (R-TX) told a rally crowd in Humble, Texas that his opponent would turn Texas into California by bringing “tofu, silicon and dyed hair,” according to a Reuters reporter. James Oliphant of Reuters was at the rally, where Cruz was asked repeatedly about a White House aide’s comments suggesting that he could lose to Democratic opponent Beto O’Rourke because he is unlikable. Cruz just did his Inigo Montoya impression at his Katy rally. Cruz crowd gets most fired up at the mention of building the border wall.